Raona with it’s solution PiuPoint won the European SharePoint Community Awards 2012 in the category Best SharePoint Social Strategy. Layer2, based in Hamburg, Germany, offers the The Knowledge Management Suite for Microsoft SharePoint 2010, a set of collaborative knowledge management and social networking features for SharePoint like tag suggesting, auto tagging and web parts for tag navigation, tag directory, tag cloud, and additional tools to manage taxonomies in SharePoint 2010. 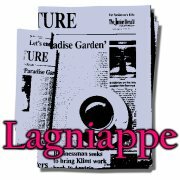 The 80,000-worker telecommunications giant Alcatel-Lucent began adopting social media inside the organization as far back as 2008. 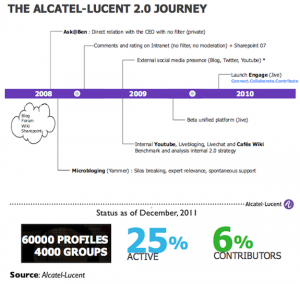 But Alcatel isn’t stopping at basic social collaboration. 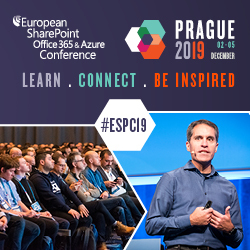 Dion Hinchcliffe published a casestudy how Alcatel implemented a social plattform first on Yammer than on Jive in connection with SharePoint. 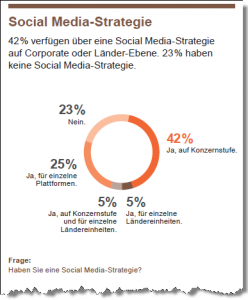 Die Schweizer Namics AG hat in einer Social Media-Studie führende Schweizer Unternehmen befragt, wie sie die Kommunikation in sozialen Medien organisieren. Zwischen Organisationen mit Erfahrung in sozialen Medien und den Nachzüglern konnten dabei deutliche Unterschiede feststellen. Wie organisieren Schweizer Unternehmen die Kommunikation in sozialen Medien? 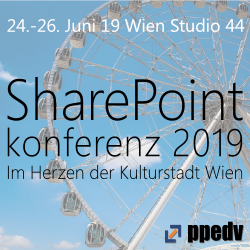 Was sind die Unterschiede zwischen Blog, Wiki und Diskussionforen in SharePoint und für welche Zwecke eignen sich die einzelnen Bausteine am besten? 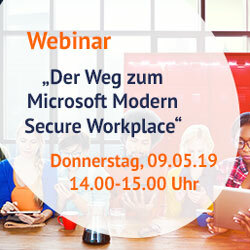 Dieser Frage ist Fred Yano auf NothingbutSharePoint.com nachgegangen und hat eine große Vergleichstabelle erstellt. Colligo Networks, a company known for giving access to SharePoint content inside Outlook, introduced a new product called Colligo Briefcase Enterprise, a tool that enables users to access SharePoint content securely from an iPad.